A NEW DOCUMENTARY called Unclaimed claims to introduce the world to former Army Sergeant John Robertson, lost over Vietnam in 1968 and left behind for over four decades. It’s a story difficult to understand considering the US military places such a priority on bringing every service member home, whenever possible. Jorgenson told the Toronto Star that he was also skeptical when Vietnam vet Tom Faunce came to him and explained a man he’d found in Vietnam was a former “Army brother” listed as killed in action and forgotten. He says he became convinced only after going to Vietnam and meeting Robertson himself. What he found was revealed to filmgoers in an invitation only screening of “Unclaimed” at a Toronto theatre earlier this month. Wringing out the details and talking to Robertson’s American family seems to have been a gut-wrenching affair. The children whose names he couldn’t recall declined DNA testing at the last minute with no explanation. None of that mattered to Roberston who says he fulfilled his wish of coming to America and seeing his kids one more time before he dies. Robertson’s now back in Vietnam, with no desire to leave and Unclaimed opens in the USA on 12 May, at the G.I. Film Festival in Washington, DC. 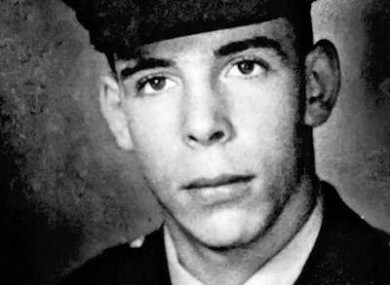 Email “This US soldier 'found alive' in Vietnam 44 years after being left behind”. Feedback on “This US soldier 'found alive' in Vietnam 44 years after being left behind”.